I’m not that wise now …. Few weeks back, a friend of mine wants to test out her new camera so she asked me whether I’m interested to model for her or not. Just don’t know why, without giving it a thought, I agreed straight away. |||. But never mind, I got a free photo shoot. Hahaha. It was a hot Sunday afternoon and I was sweating like crazy. But nevertheless, it’s a fun session. She managed to snap around 200+ pics. According to her, I was very stiff. Hahaha… Never mind.. Will do better next time if I have the chance to do it again. Disclaimer : I’m not a professional nor a trained model. Woah… it’s been long since my last update……Kinda busy these days. Nothing much happens, just more work and more work…. Junk will be performing this coming June 7th. Come check us out…. Hybrid is practising hard for the end of June gig in Sunway. Check out the links on the Upcoming Gig box for event info. Ladies and gentlemen, we are JUNK. I survived RPM Challenge yesterday!!! This is my first RPM Challenge class and I manage to ride through the tracks. Dunno is whether I really can finish the class or I’m just riding on a lower-than-usual intensity hahaha (aka CHEATING). Just came back from the gig in Jaya One. We did well overall despite we didn’t have the chance to do a full proper soundcheck. Everything just plug and play and sheer luck. Out of our expectation, we were paid for the gig. And the crowd liked us too. We were requested to do one more extra song for the night. Brett met with his old colleague, Chit from Rade came as well. Thank you Eizaz for getting us this gig and those who loved our performance. See ya next week at One Utama. P/S : I don’t have any pics to post but will post ‘em up once I got a hand on ‘em. 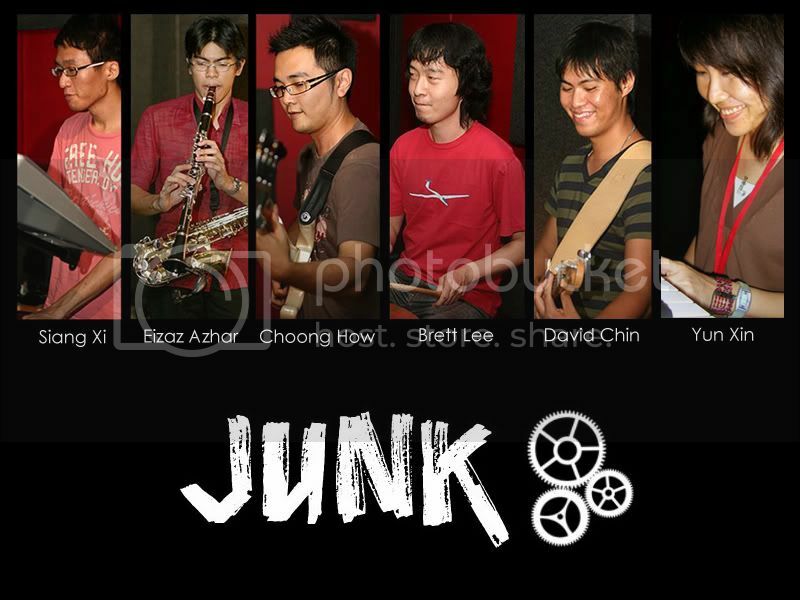 Junk will be performing in the A Green Symphony roadshow tonight 8.30pm at Jaya One, PJ. Do come and support the show. Went for a minor surgical procedure yesterday to take out 2 of my wisdom tooth that’s either rotten or causing pain. The top left one can be extracted normally but the bottom left tooth can’t and need to do some surgery to remove it. I was very scared at first. After some encouragements from fellow friends and church members, I finally have the courage to go for it. The procedure was smoother than I thought. The dentist and the assistants were good. The dentist also took the trouble to explain the process of the surgery and some post-operative instructions. I’d say it’s a good service. Went to dentistry this morning to check on my tooth because was having toothache since Saturday evening. The dentist says need to do surgery to extract the tooth….. Scheduled an appointment with the dentist to do the surgery tomorrow morning. I definitely need your prayers guys…..